The Steens Richmond cream and pine 4 drawer single pedestal dressing table features a solid pine dressing table top, traditional round drawer handles and legs and feet. 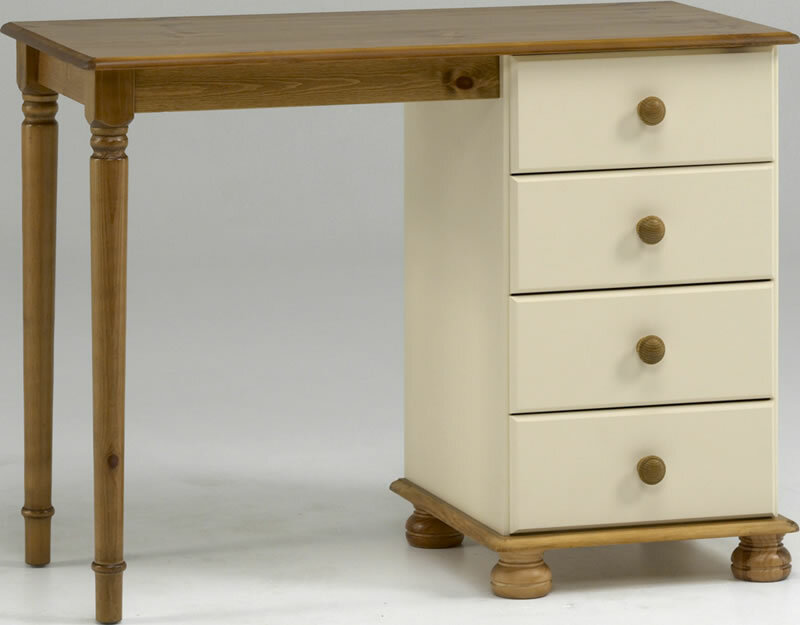 The drawer fronts and unit sides are made from good quality MDF in an elegant cream finish. The drawer sides are made from 11mm solid pine with metal drawer runners and 2.8mm plywood drawer bases.